Z60, the range has been supplemented by a further model. 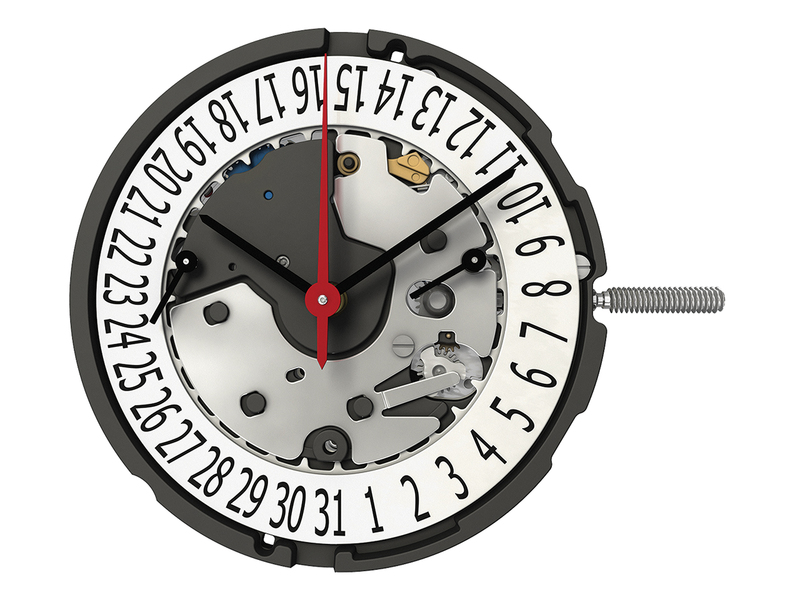 The simple look of the new Z50 follows the trend for stopwatches and creative designs; thanks to the balanced positioning of the two eyes on the dial, the brand manufacturer has plenty of room for individual design. 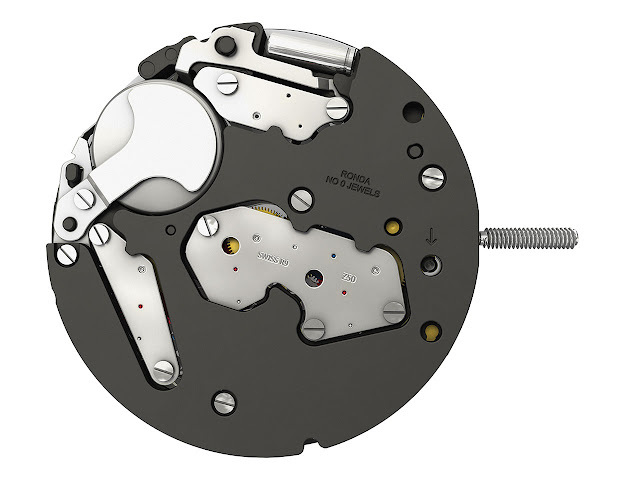 Ronda also sticks to the motto “less is more” for the new Z50: the functions of the repairable movement of size 13¼‘‘‘ with a 30.00 mm diameter are limited to a chrono stop-second, a 30-minute counter, a small second and a date indicator. In autumn 2015 the product will come onto the market in a nickel plated Swiss Made version. 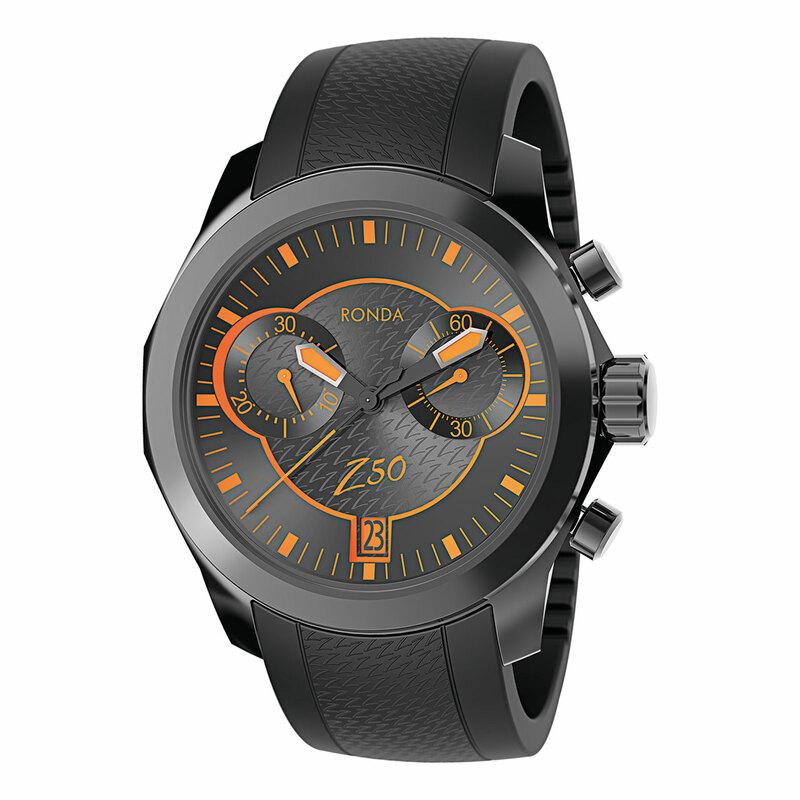 The Xtratech line intentionally sets aside any extras that would add to the expense of the movement; above all, it is very much in demand for fashion and sports watches.